He worked as a mathematician. On 25 March 1957 he was arrested, and on 26 August put on trial under Articles 58-10 and 58-11 [Counter-Revolutionary Activities], together with B.B. Vail, K. G. Danilov, I. D. Zaslavsky and I. S. Verblovskaya. 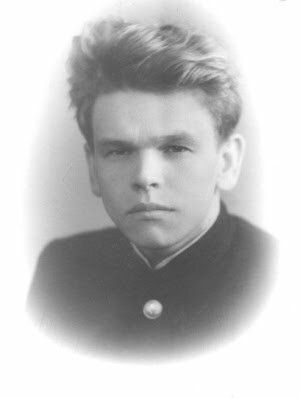 R.I. Pimenov was charged with writing the articles “The Fate of the Russian Revolution” and “On the Speech of N. S. Khrushchev”, and an essay on “The Hungarian Revolution”. He was also charged with trying to create an anti-Soviet group among the students of the Leningrad Institute of Librarianship. B.B. Vail was tried a second time in the camp, his term of imprisonment being increased to eight years. He was released in September 1965 and lives in Kursk, where he works in a puppet theatre. In April 1970 Pimenov’s flat was searched. At the same time Vail’s flat in Kursk was searched. Both searches were carried out on the instructions of the Obninsk City Procuracy. The reason for Zinovieva’s testimony against B, B. Vail, which coincided exactly – even in the titles of works – with her testimony against Pimenov, is unknown. During the investigation the witness R.I. Pimenov had two confrontations with the witnesses N.G. Pugach, a [woman] graduate student of the Leningrad Agricultural Institute, and I.M. Startsev. She had once brought Startsev to Pimenov’s home. Now they claimed that Pimenov had supplied her with samizdat literature. In late July R. Pimenov was summoned for questioning and detained without charge. B.B. Vail, after numerous interrogations in Kursk, was summoned to the Leningrad Procuracy, and after a confrontation with Zinovieva he was charged under Article 190-1. Vail’s wife was also questioned.